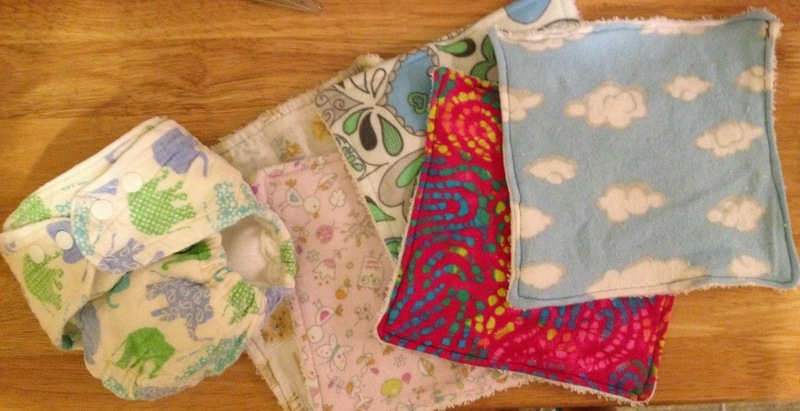 When we first contemplated cloth diapering for our sweet baby Cambri, I did a lot of research! 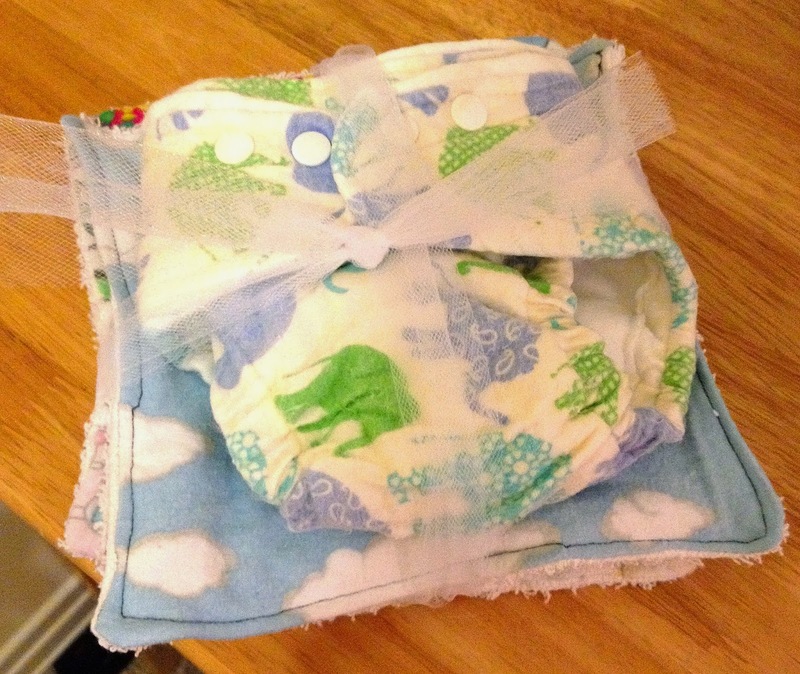 I ended up making most of our cloth diapers myself, which saved a ton of money. However, I had a LOT of flannel scraps leftover and needed a way to use them. 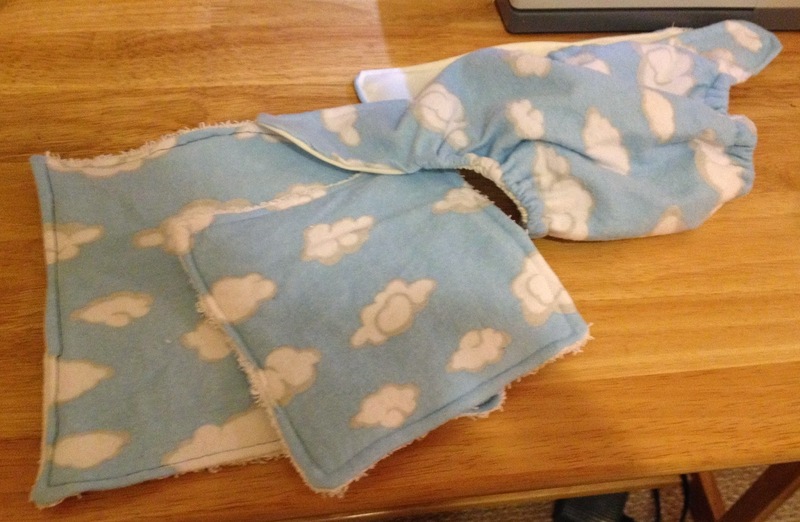 During my research, many other cloth-diaperers mentioned using cloth wipes as well. 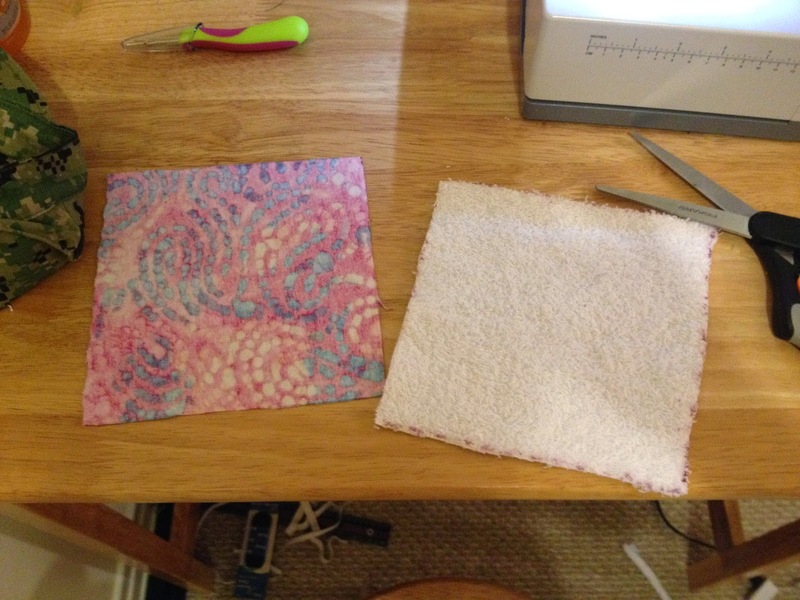 So I decided to try my hand at making these wipes…which ended up being close to free! I started by cutting my flannel cloth and terry cloth to size. For “normal” size wipes, 8.5 inches by 8.5 inches is the best. However, I found a lot of my scraps were just shy of this size, so I made some that are 7.5 inches by 7.5 inches or 6.5 inches by 6.5 inches. 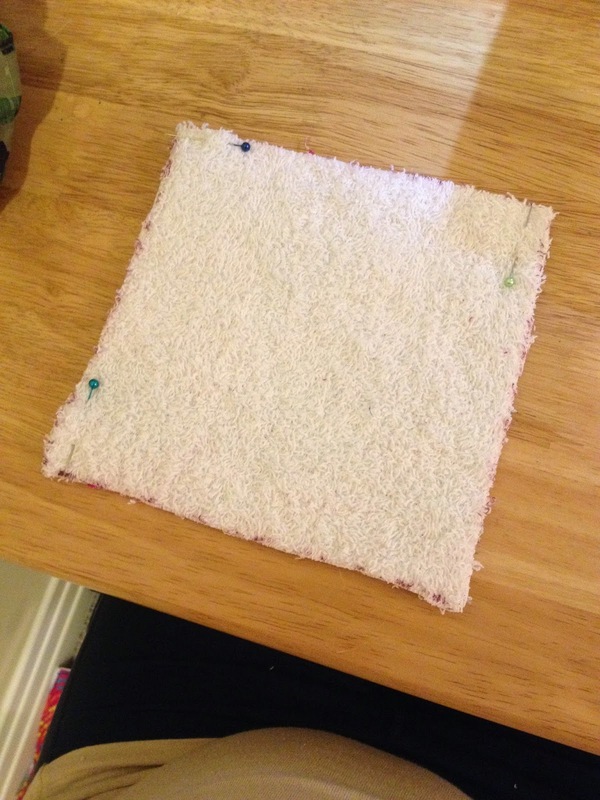 I think 5.5 inch squares would be too small, but have found the other sizes still work well to wipe those dirty bums! 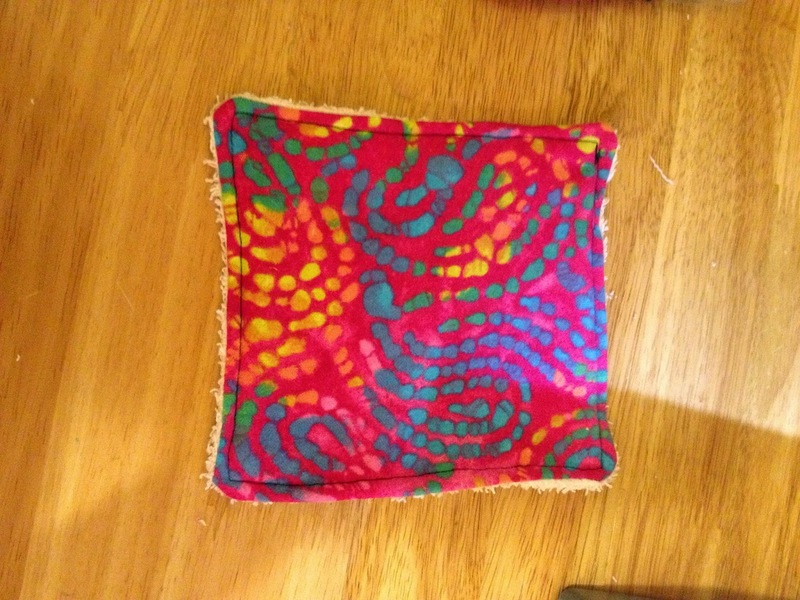 To cut the squares, I used a clear square sewing ruler and drew squares on the fabric, then cut the squares out. If you draw the squares out on the flannel, make sure to trace on the “wrong” side of the fabric. Also, I found that the terry cloth kind of stretched some, so keep that in mind when measuring and try not to stretch too much to avoid uneven squares. Pin the squares together, “right” sides facing each other. Terry cloth doesn’t necessarily have a “right” side, but I made sure the side that had my measurement lines on it was the “wrong” side. 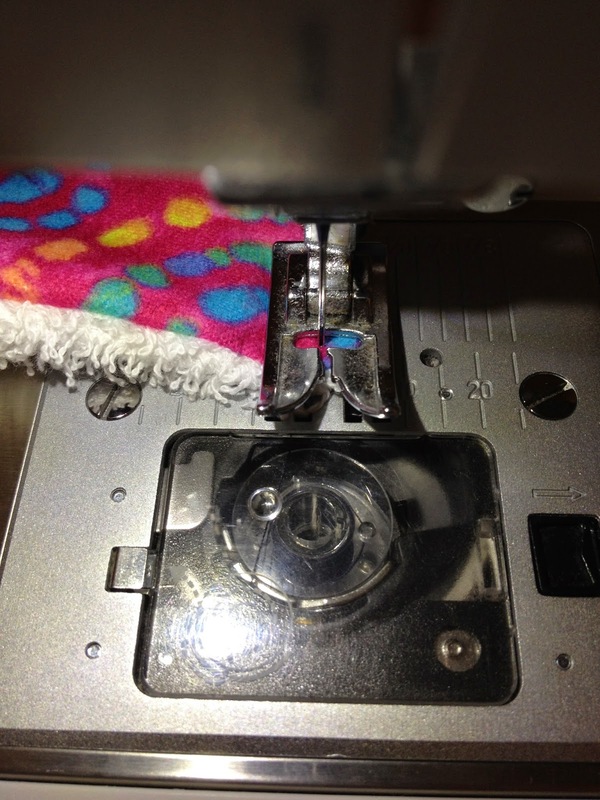 Begin sewing about 2-3 inches before the corner, as shown in picture. 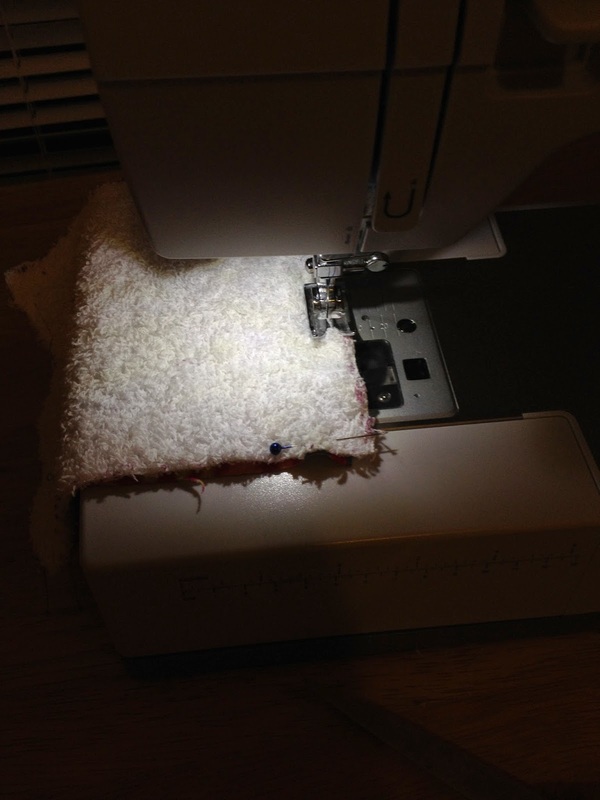 My machine settings were on 2 for width, 2 for length, and I used a straight stitch. Sew all the way around the square, using about a ¼ inch seam allowance (I just used the foot on my sewing machine as a guide). 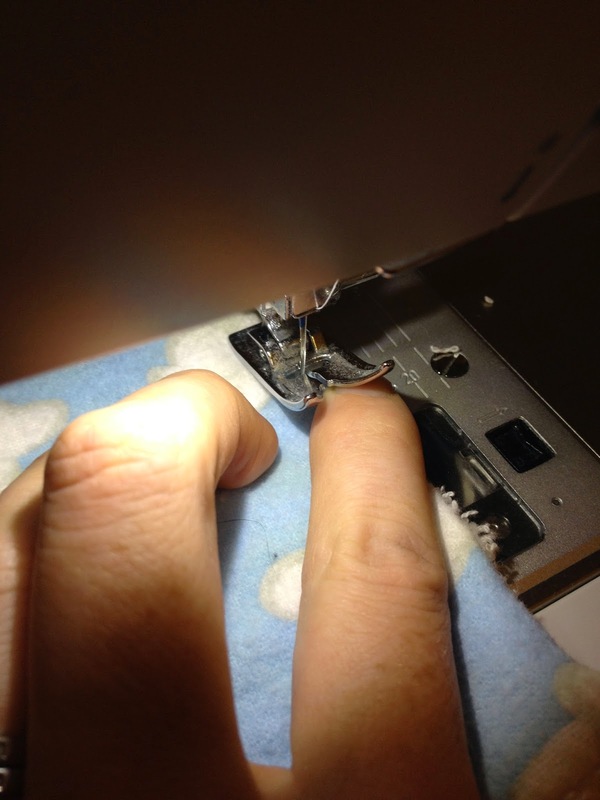 Once you sew the fourth and final corner, sew 2-3 inches on the last open side. Basically, on the last side, leave about 2-3 inches open to turn the wipe inside out. 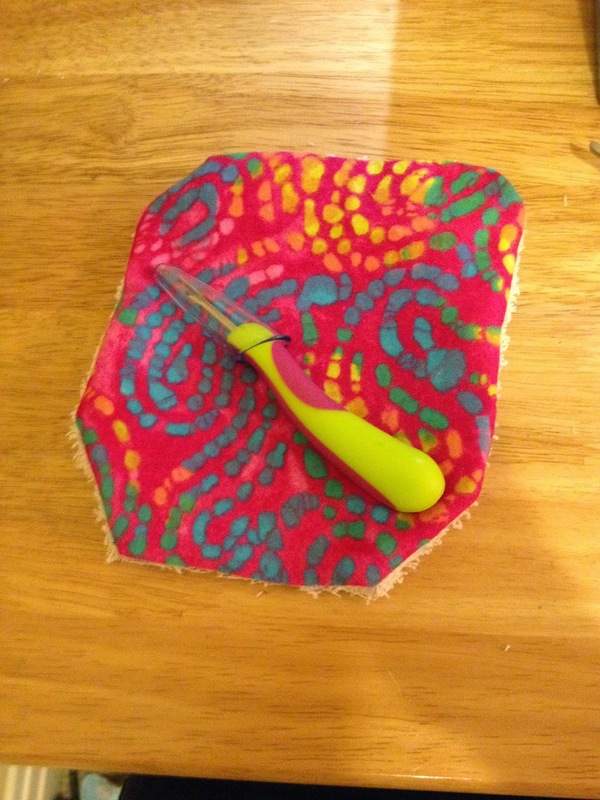 Tip: when I’m sewing and I get to the corner, I just lift the foot and turn the wipe and continue sewing down the next side. 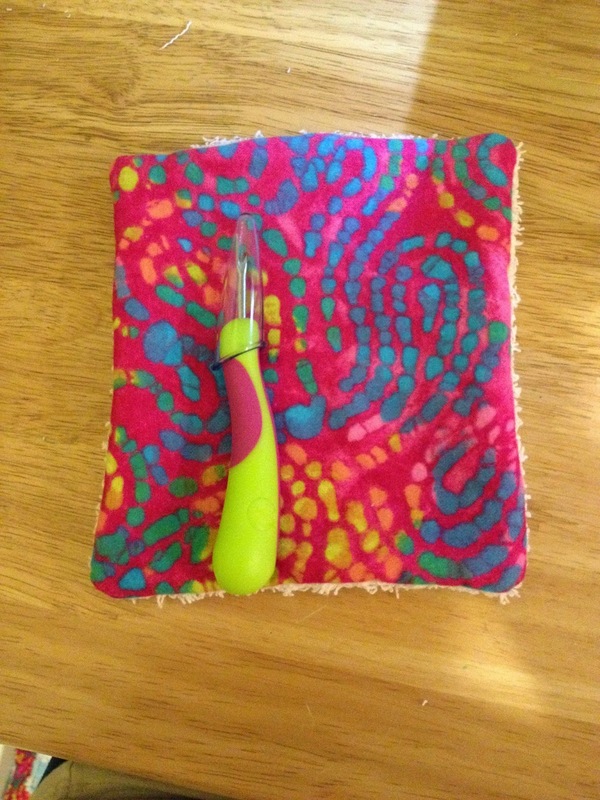 I found this is easier for me to do if I turn the wipe when the needle is mid-stitch, through the fabric. 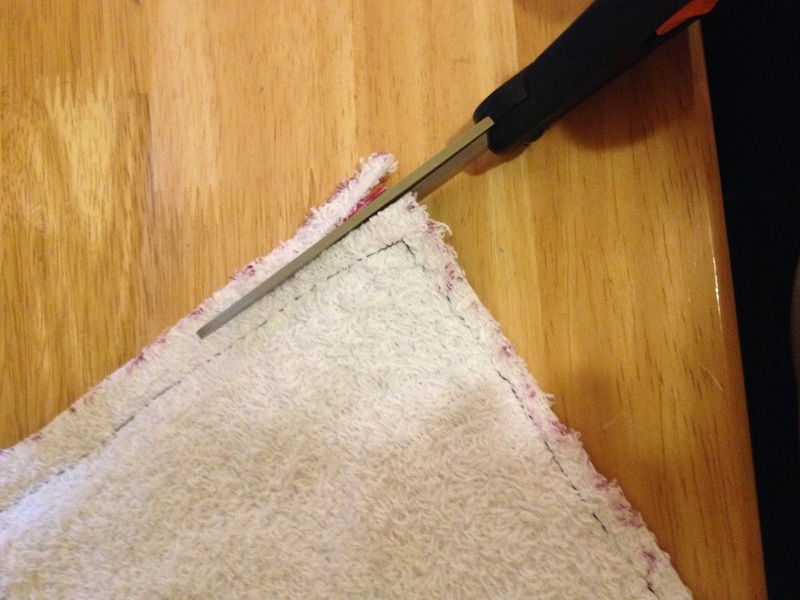 Cut the thread tails and trim the excess cloth from the sides of the wipe, being careful not to cut your seam! Turn the cloth inside out. I used my seam ripper (with the cap on) to push out the corners, but you can use a pencil or whatever else you have on hand. 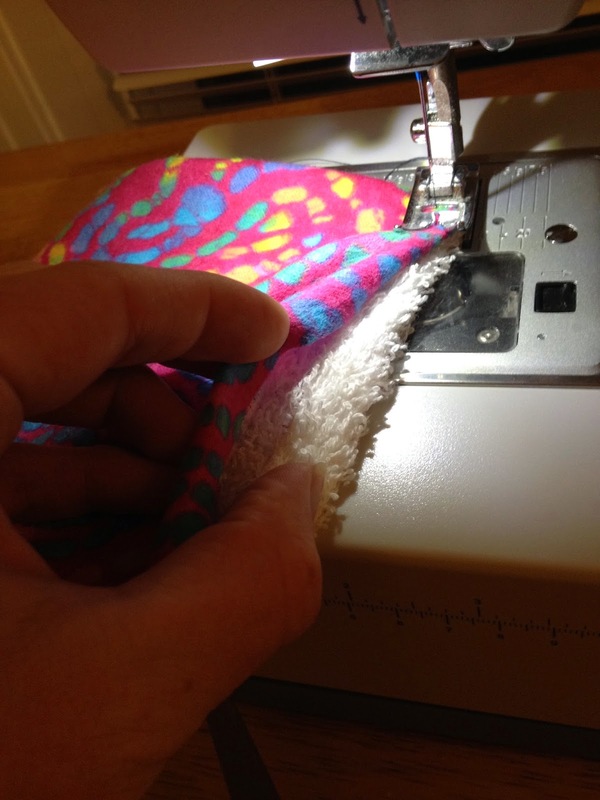 Fold the edges of your 2-3 inch opening under and top-stitch close. You can use a pin if you desire, but I did not. 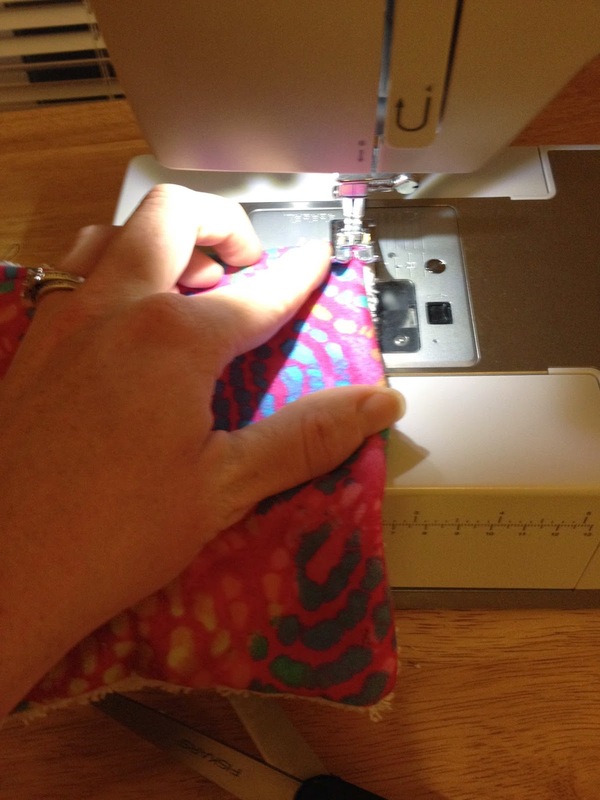 Continue the top-stitch all the way around the square using the same ¼ inch seam allowance. Sometimes, if the corners are too bulky, I find that my machine can get caught up. I make sure to sew the corners slowly and forcefully guide the fabric under the foot. 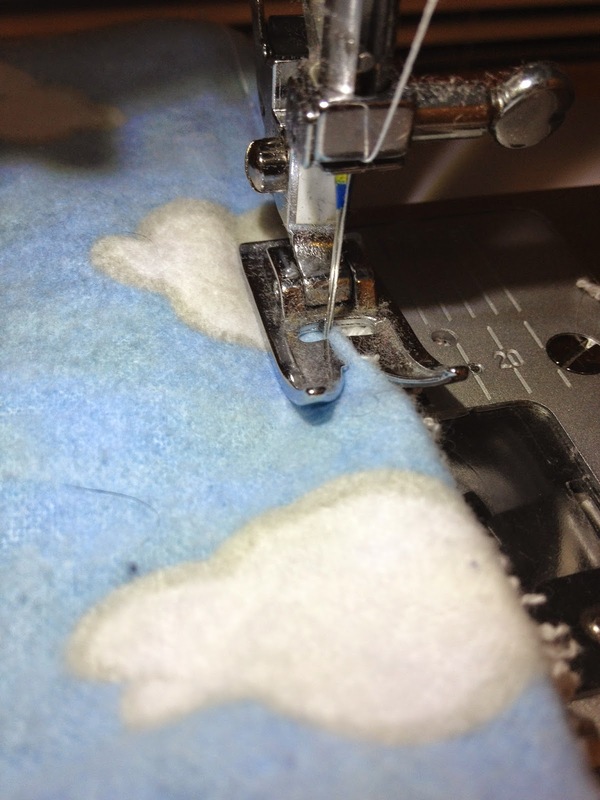 Also, when topstitching, I find that sometimes my flannel fabric gets bunched up in the foot pedal. If this happens, I simply raise the foot, push the fabric to the side, and continue sewing. After top-stitching around the whole wipe, cut the thread tails. And there you have it! Your very first cloth wipe! I always make a couple at a time; they only take like 5-10 minutes a piece! 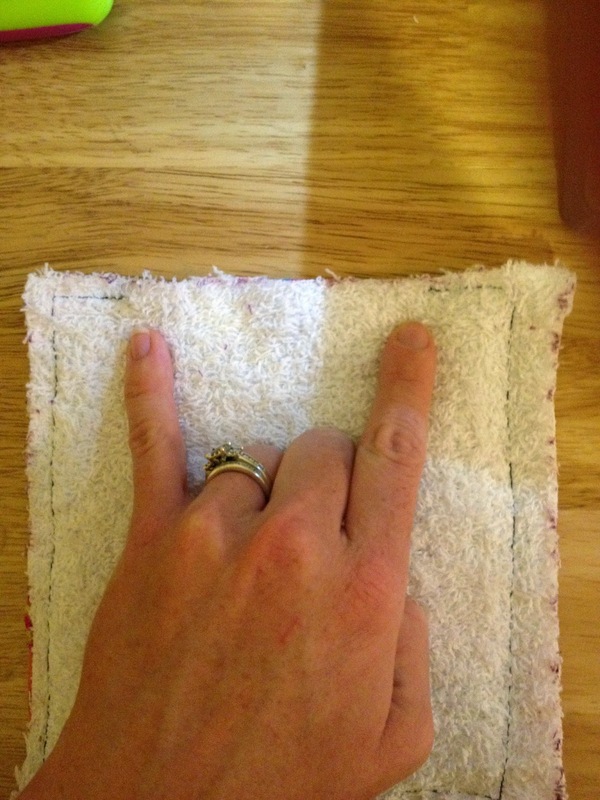 As you can see, not all of mine turned out perfectly straight…but hey, I’m using them to wipe poo off butts! 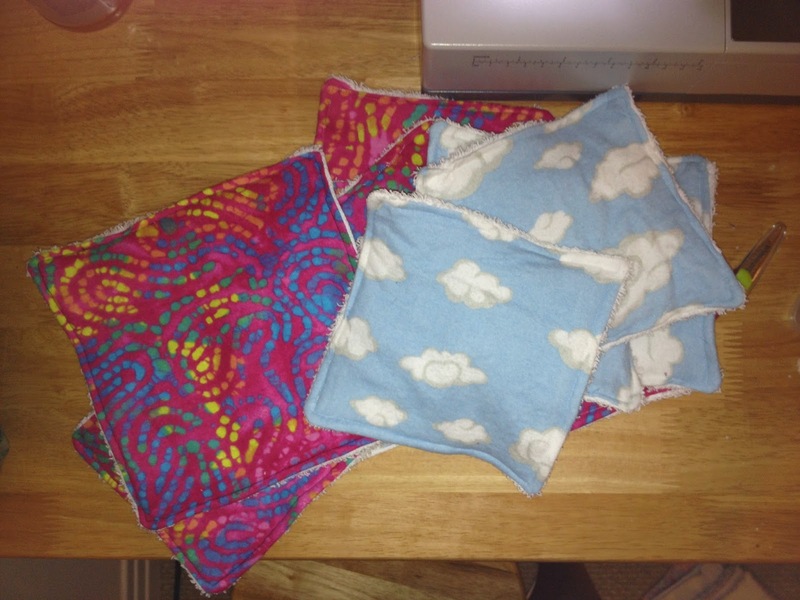 I plan on giving some away as gifts…and think they are so cute wrapped up with matching cloth diapers! When dirty, just throw in the wash with your cloth diapers. Some people suggested taking them straight from the washer and putting the wipes into a wipe warmer. I found it was too time consuming to sort through my diapers and the wipes were never quite wet enough. I just throw them in the dryer with my prefolds. I wet the wipes under the faucet, wring them out real quick, and put them in my wipe warmer, no essential oils or anything! So easy!